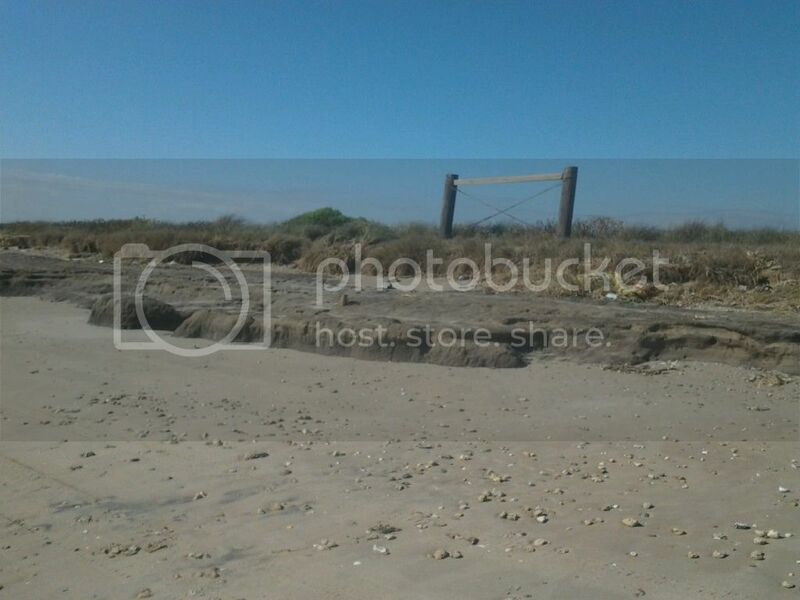 The Texas coastal highway has been abandoned for a while between High Island and Sabine Pass (a pass on the Texas coast is a gap in the barrier islands allowing access to the Gulf from the mainland). Storms and beach erosion rendered it too expensive to maintain a highway in that area, Fortunately, it is legal to drive on the beach in that area. 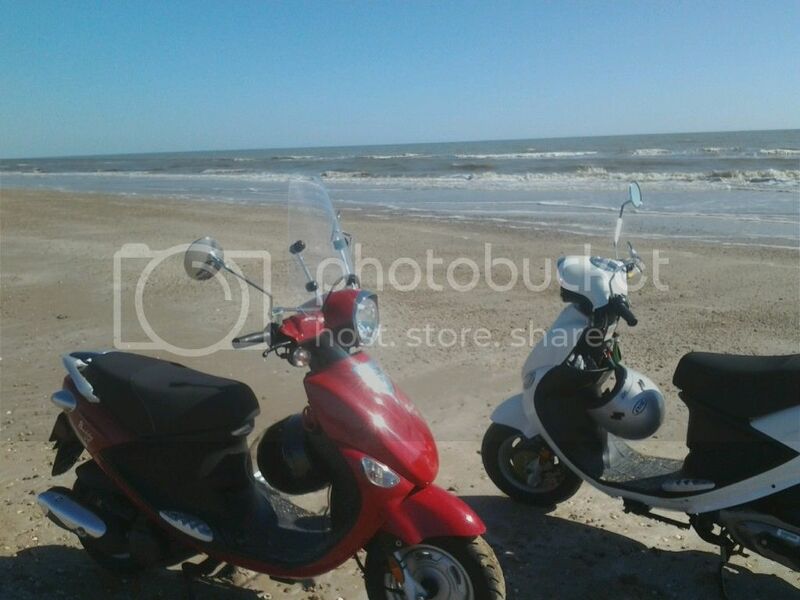 Speed limit on the beach is 15 mph, so 50cc scooters are more than sufficient. 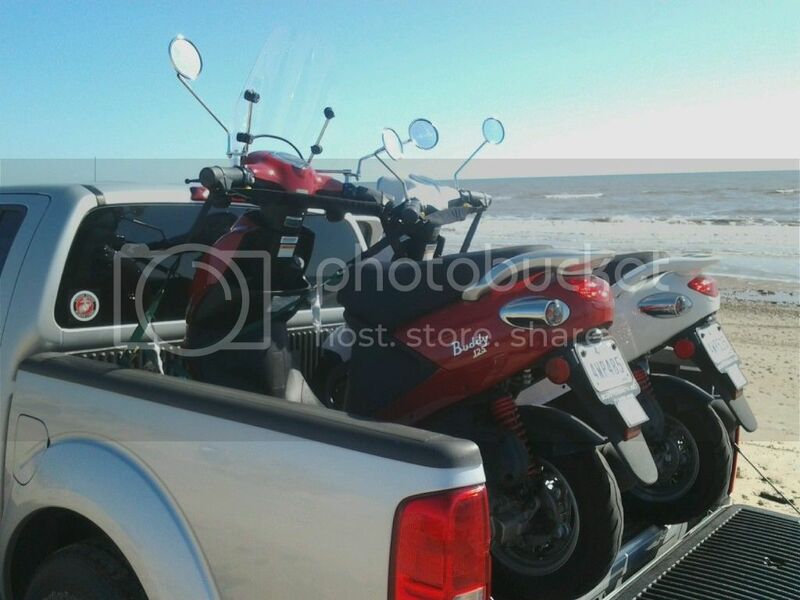 -We hauled the scoots in my truck about 100 miles to the beach south of High Island. We parked and off-loaded in an area area on the beach where the old highway was somewhat intact. The first half mile of our scoot ride was on the old coastal highway. After that, there was no pavement to be found and were were riding on sand alone. -The sand on the beach was damp and compacted, so the riding was not difficult. However, after around four miles of riding, the beach became more damp and mushy. A good dual sport motorcycle, with larger wheels, could have continued but we turned about and made for the truck. -After loading up, we drove down the Bolivar Peninsula into Crystal Beach for lunch. The Stingaree Restaurant has a water view on three sides and a great tuna steak. Crab stuffed shrimp was good too. I have only lived in Texas sine 2010, but my scooter rides have really helped me learn about Texas history and culture. Posted: Sun Jan 22, 2017 1:51 pm Post subject: .